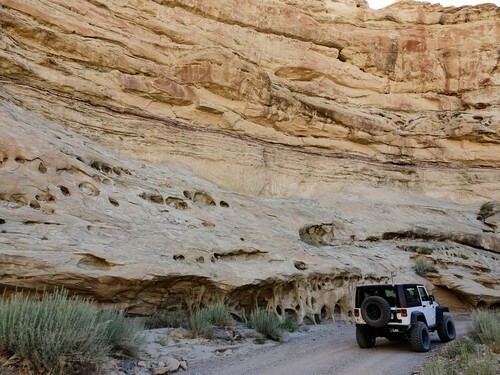 Drive a short, scenic canyon to the shore of Lake Powell at Warm Creek Bay. 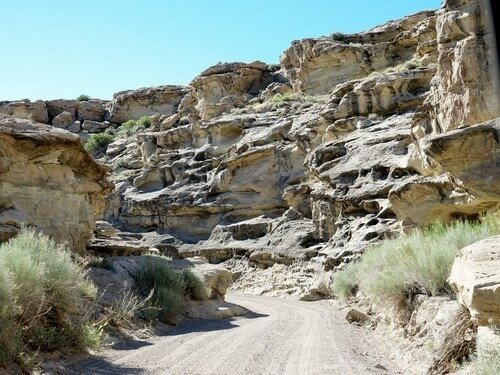 This is an easy road down the bottom of a canyon. 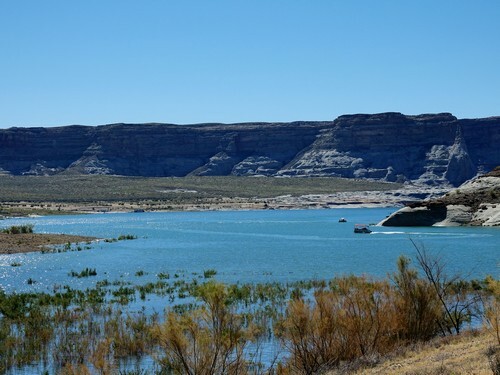 The canyon is fairly deep as it nears the lake. 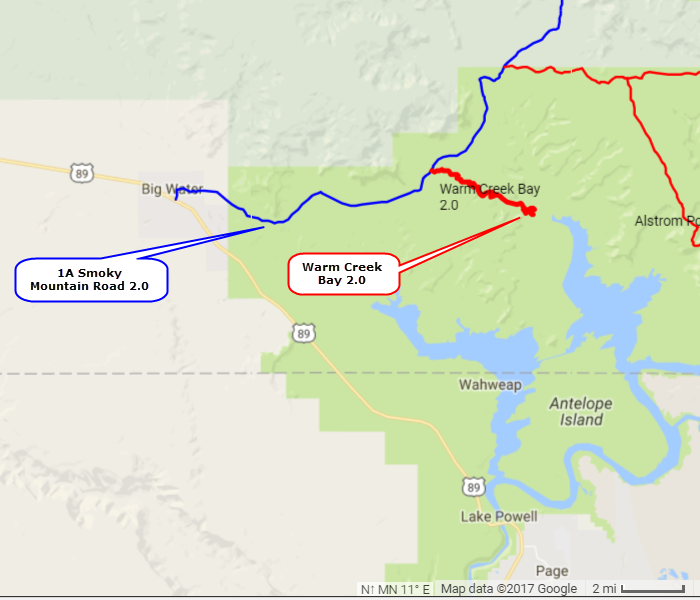 We visited in June when Lake Powell was still rising. Friends had visited a month earlier and were able to drive a half mile farther. 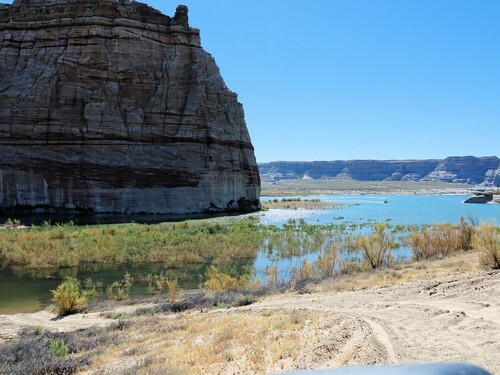 Lake Powell is 60% full in these photos. 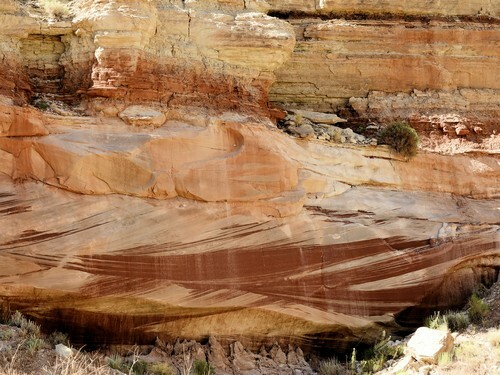 ​There may be areas of deep sand depending on the lake level when you visit.